The ultimate shreddable bird toy. 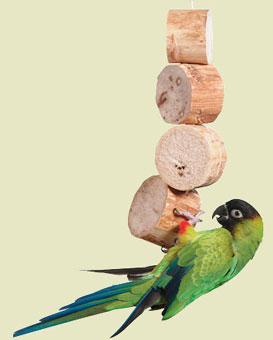 All-natural toys made of Yucca pieces strung on sisal rope to satisfy your bird's natural urge to chew and preen. Helps relieve boredom! Irresitable to your medium to large-sized bird. 12" long.